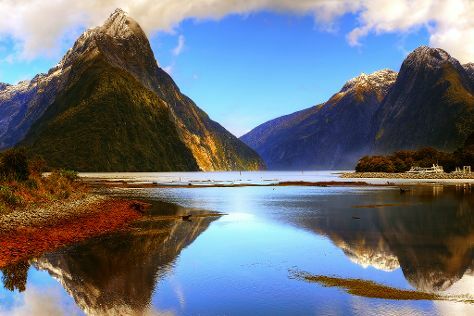 Kick off your visit on the 10th (Sun): explore the activities along Lake Gunn, then hike along The Chasm Walk, and then explore the activities along Milford Sound. On the 11th (Mon), you'll have a packed day of sightseeing: contemplate the waterfront views at Te Anau Glowworm Caves and then look for all kinds of wild species at Doubtful Sound. To find other places to visit, where to stay, traveler tips, and tourist information, go to the Te Anau trip planner . Wellington to Te Anau is an approximately 7-hour combination of flight and bus. You can also ride a ferry; or do a combination of ferry and bus. Finish your sightseeing early on the 11th (Mon) so you can take a bus to Queenstown. 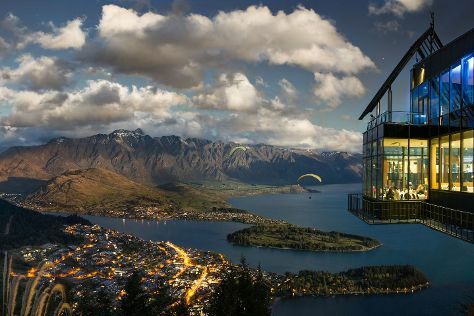 Start off your visit on the 12th (Tue): get your game on at Skyline Queenstown, then take a memorable tour with Tours, and then relax and rejuvenate at some of the top local wellness centers. For more things to do, ratings, photos, and tourist information, read Queenstown road trip planner . You can take a bus from Te Anau to Queenstown in 3.5 hours. Wrap up your sightseeing on the 12th (Tue) early enough to travel to Taupo. 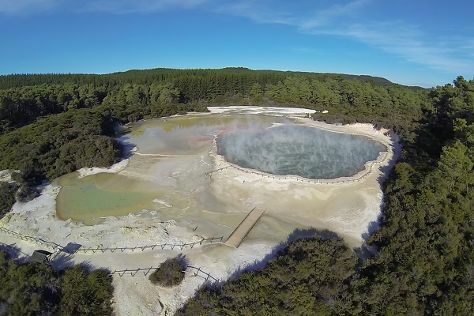 On the 13th (Wed), witness a stunning natural landmark at Wai-O-Tapu Thermal Wonderland, then take in nature's colorful creations at Lava Glass, then take in the dramatic scenery at Huka Falls tracks, and finally push the limits with an extreme tour. Here are some ideas for day two: stroll through Huka Prawn Park, add some adventure to your tour with a kayaking and canoeing tour, then see the world from above with a helicopter tour, and finally stop by Souvenir Outlet. To find where to stay, more things to do, reviews, and other tourist information, go to the Taupo road trip planner. Traveling by flight from Queenstown to Taupo takes 5.5 hours. Alternatively, you can do a combination of flight and bus; or do a combination of car and ferry. Wrap up your sightseeing on the 14th (Thu) early enough to travel to Paihia. Start off your visit on the 15th (Fri): identify plant and animal life at Wildlife Areas, take in nature's colorful creations at Waitangi Treaty Grounds, and then look for all kinds of wild species at Paihia Harbour. For other places to visit, traveler tips, ratings, and other tourist information, you can read our Paihia trip itinerary maker app . Traveling by flight from Taupo to Paihia takes 3.5 hours. Alternatively, you can do a combination of bus and flight; or drive. Finish your sightseeing early on the 15th (Fri) so you can travel back home.